Why are these "must-have" options never used? Sport Mode We love the current crop of sports car that all have adjustable drive modes to configure the car. 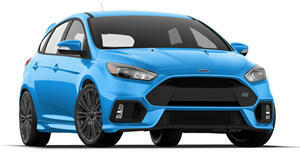 Ford got a lot of publicity with the Drift Mode in the Focus RS, which has now been copied by Mercedes. In a sports car, these modes are usually very distinct, but the sport mode on a boring family sedan is a different story. We have seen sport buttons on everything from the Hyundai Elantra to the Lexus ES, but they really don't do much. People who purchase these cars aren't expecting a canyon carving sports car. These buttons rarely get pushed, and are therefore useless. Paddle Shifters Just to be clear, we aren't referring to automatic transmissions, just the paddle shifters attached to them. Like our sport mode choice, we love paddle shifters when they are actually relevant. However, a CVT Honda Accord does not need paddle shifters. How many people actually drive their Accord around "shifting gears" through traffic? In most mainstream cars, the paddle shifters get used on the test drive after the salesman points out how cool they are, and maybe once or twice in the first month to show off to friends. After that, people rarely use them which makes them a waste of money. Rear Seat Entertainment This is one of our most hated tech features in cars. It was nice as a kid to have a DVD player in the back of the car, but kids today have so many more options like iPods and iPads that make the rear seat entertainment systems seem like a waste of money. These systems can cost thousands of dollars from the manufacturer, when you could just as easily go out and buy two iPads for your kids for a fraction of the price. We do like the expensive systems in cars like Porsche and Mercedes that can access car menus and control infotainment, but we wouldn't want to relinquish control of the radio to screaming kids in the back seat. Power-Adjustable Seats On our previous list, we declared our love for high tech seats with advanced functions like massaging. However, we also admit that power-adjustable seats are usually just a useless option. Jay Leno likes to point out that a power seat usually only gets used once. After the driver has set up their seat preference, the power seat remains dormant for most of the car's life. The only exception to this is when one car has multiple drivers that frequently switch out. For this scenario, memory seats can come in handy. For everyone else, power seats are just heavy objects that get hauled around without much purpose. Moonroof/Sunroof A large, panoramic moonroof can make a car's interior seem extremely spacious even if it is very crammed. These large glass units have made the normal moonroof seem silly in comparison. We rarely see people driving around with their moonroof open, which defeats the point of having one that even opens at all. Many automakers have started to offer a "moonroof delete" option for enthusiasts who know that the moonroof adds weight up high, which can ruin a car's handling.